digging over beds and generally having a tidy up. 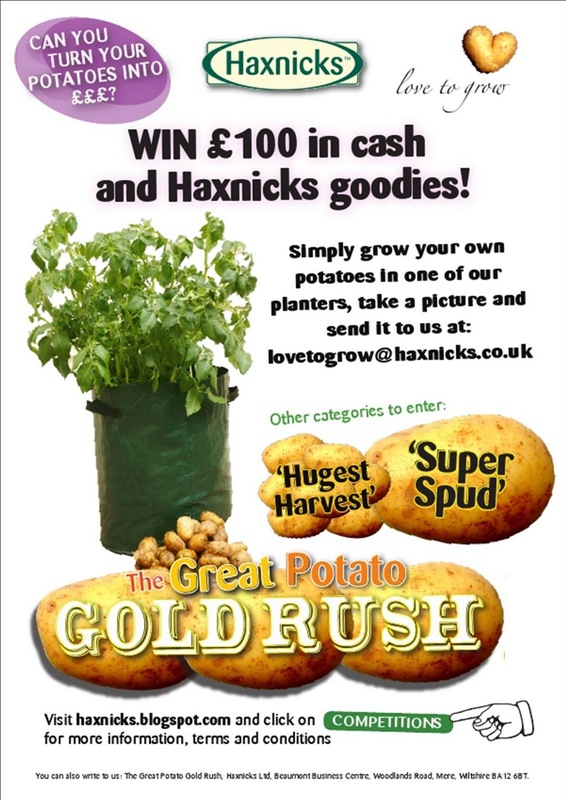 To help you, Grow Your Own magazine has completed a trial of the tools you will need. Included in this is the Haxnicks Leaf Picker. Deeming it to be " An efficient, easy pick-up and discard mechanism for leaves without any backbreaking bending over" it gets a big thumbs up from Simon Akeroyd. Especially good for picking up leaves in flower beds where a traditional rake may damage plants it is definitely a must for the tool shed. This entry was posted in News & Events on 23rd October, 2018 by sarah talbot. Haxnicks new range of Bamboo Pots and Seed Trays has won Best Garden Care - Accessories Award in the prestigious GLEE Gardening Industry Awards. GLEE is a trade exhibition for the gardening industry. 500 leading UK and international wholesale garden suppliers exhibit so that every gardening retailer; big, small, online or on the high-street can source the very best products for you. Damian Cardozo of Haxnicks says. 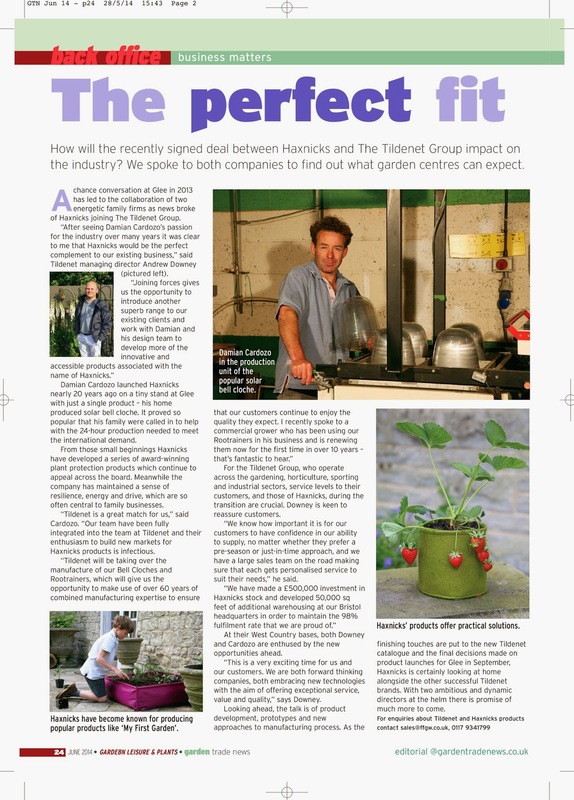 "The Products that win at GLEE are those that really move the industry forward and offer the gardener what they need. The appetite is there for sustainable pots so it is the right time for this product. We are thrilled Haxnicks Bamboo Pots and Seed Trays have been recognised by GLEE and excited about playing our part in making our gardening more environmentally friendly"
The Pots and Seed Trays will be available online and in all good Garden Centres from December 2017. This entry was posted in News & Events and tagged bamboo, seed tray, pots 5", 6", sustainable, natural, rice, bamboo & rice, compostable on 13th September, 2018 by sarah talbot. With an almost unprecedented spell of hot dry weather gardeners are searching for ways to save their garden from the scorching sun. Bunny Guinness, writing in the Telegraph, has found the ideal solution in the Haxnicks Easy Net Tunnel. It is the only tunnel that uses shade netting to protect from the sun. It also conserves valuable moisture which is key with the weather as it is. Shade netting tunnels keep plants cool! There are other ways to combat the heat too. For those who really don't like watering, then self watering solutions such as the Self Watering Tower Garden and the Vigoroot Easy Table Garden are a great choice. Most plants like to remain moist at all times. Drying out or irregular watering can play havoc with popular plants such as tomatoes causing fruit to split or become deformed. 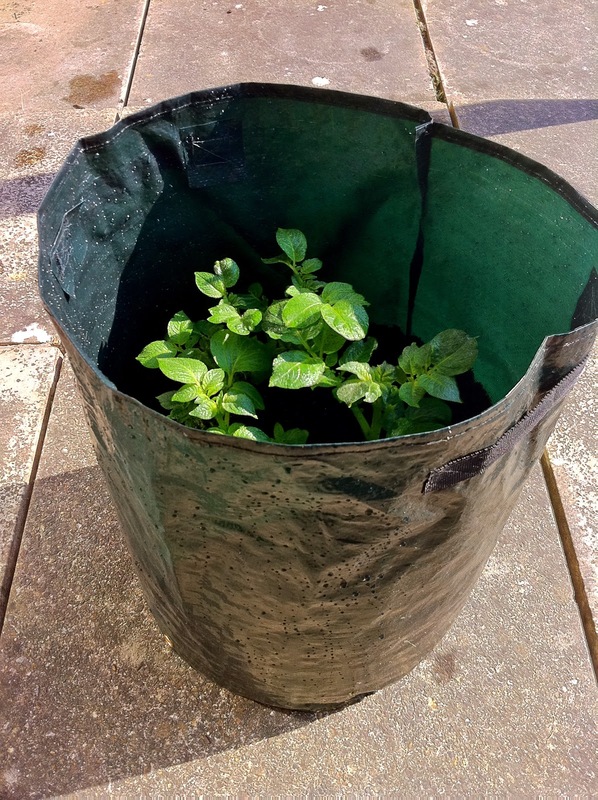 As well as keeping the plants hydrated both the Tower Garden and the Table Garden use Vigoroot fabric so that the roots of the plants are air-pruned allowing much more to be grown in a small space. Meanwhile, if you are already growing plants in pots then Water Saucers may be the answer to your problems. An imminent hose pipe ban has led to a huge increase in sales of Water Saucers. A nifty solution that works with any potted plant. The plant draws up water as needed via a super absorbent capillary wick. This is better for the environment as it conserves water and none is wasted. A three way win for plant, gardener and the environment. This entry was posted in News & Events on 11th July, 2018 by sarah talbot. Find out how the recently signed deal between Haxnicks and The Tildenet group will impact on the Industry. This entry was posted in News & Events on 1st July, 2014 by Haxnicks. We would like to wish everyone one of our customers a very Merry Christmas and a Happy New Year. 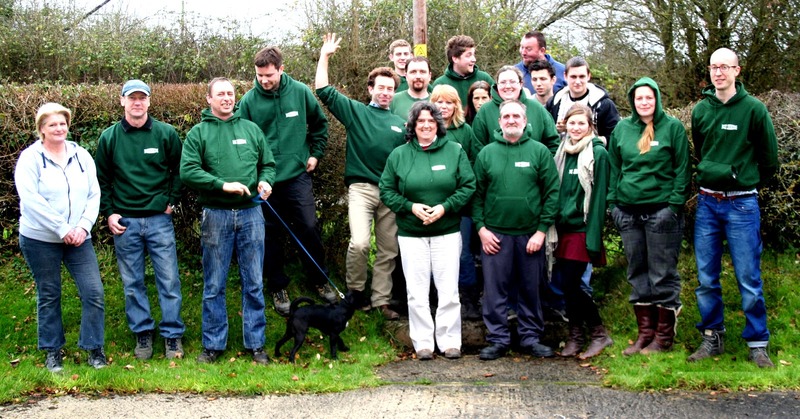 We've had a momentous year and 2011, our 15th year in business will go down as one of our busiest ever. If you're in the snow, sun, rain or cloud we hope you enjoy the holiday period and have a wonderful time with your families or without (if you prefer!). As a gift to those of you that aren't able to buy your products from your local garden centres, we have decided to run a special January Sale on the website from the 26th December. This entry was posted in News & Events on 21st December, 2011 by Haxnicks.